There's a palpable sense of both joy and sadness when Hell is Empty, the final chapter of Life is Strange Before the Storm, reaches its emotionally-charged ending. 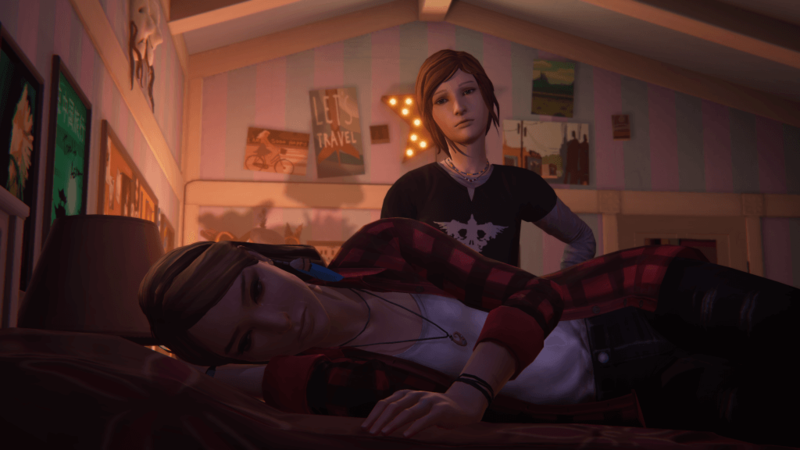 While the story of Chloe Price and Rachel Amber reaches new heights by the time the credits roll, those of us who have been with the franchise since day one will know that things don't remain rosy for the turbulent couple for too long. It's a double-edged sword, and for that reason leaves such an impact on the player, myself included. Hell is Empty kicks off following the massive bombshell regarding Rachel's parentage, which forms the backbone of the episode's narrative. With her world turned upside down, Rachel is at her lowest ebb yet, though Chloe's determined to get her friend (or lover, depending on your choices) back on track. There's a rawness to the performances here as Rachel's barriers are well and truly blown apart to rubble, leading to some great interaction between the two protagonists as they attempt to repair their broken life. 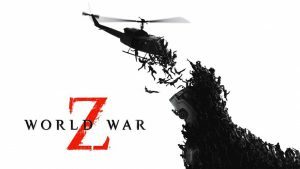 The opening moments are touching, focusing concisely on the strong bond between the pair that has been built up over the past two episodes. Rachel is in a bad place, but Chloe’s by her side. Developer Deck Nine has packed its final chapter full of major set pieces, and as such Hell is Empty moves at a much faster, action-packed pace than its predecessors. 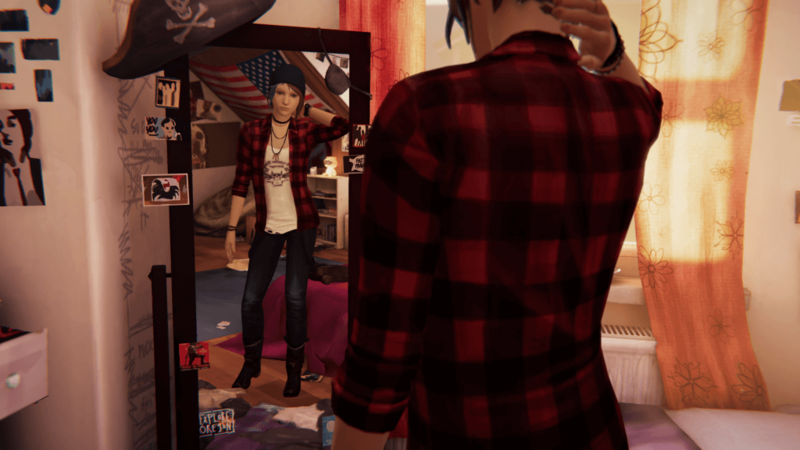 As mentioned in our preview, there's a defining moment for Chloe near the start, where, after taking a shower and grabbing a change of clothes, she compliments her look with her now-trademark blue streak; it's a powerful piece of characterisation, and one that doesn't even require a single line of dialogue. One of the chief problems with Hell is Empty is its emphasis on characters who are pretty much inconsequential to the main story arc. Stereotypical drug dealers and a school boy stalker fail to captivate and pull the action away from the blossoming relationship between Chloe and Rachel, although it's not to the overall detriment of the narrative; rather, you just feel like you want to be spending more time with the main duo. Fortunately, Hell is Empty contains some of the best puzzles of Before the Storm, which punctuate the dialogue-heavy concluding chapter unobtrusively. There's a spot of brilliant amatuer detective work at one stage, with Chloe having to piece together evidence taken from the office of Rachel's father and send it to a mystery contact via mobile phone, making for a welcome distraction from the bread-and-butter chin-wagging. Chloe shoulders much of the responsibility of helping Rachel locate her birth mother, as the latter finds herself in a spot of bother that leaves her otherwise incapacitated. As such, it gives Chloe a chance to shine and strengthens her as a character, as she becomes inexorably dragged into a seedy underworld that is way out of her depth as a mouthy teen. Still, it speaks volume to her tenacity and feelings towards Rachel that she is willing to potentially risk her life; more importantly, it creates a believable prelude to the undeniably stronger Chloe that we would later come across in Life is Strange three years later. The death of Chloe’s father continues to weigh heavily on the teen’s mind. 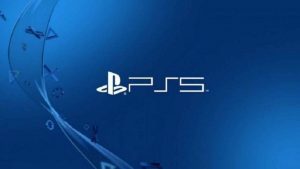 Unfortunately, the script is marred by the occasional dodgy performance from supporting cast members, while the perennial issue of the game's aging visuals continues to put a damper on some key moments. Luckily, these wrinkles are few and far between. Sadly, Chloe's Back Talk feature continues to remain underutilised; a bizarre choice considering it's effectively her answer to Max's time-manipulating powers and proves both challenging and a pretty good laugh when the potty-mouthed heroine gets into her stride. 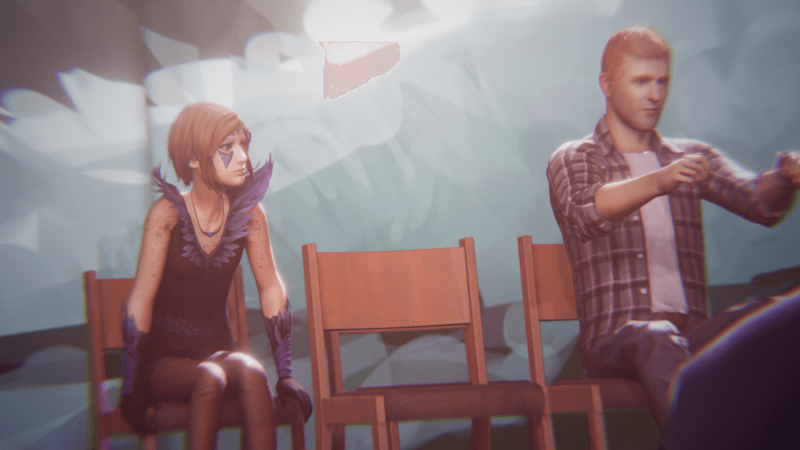 Choice has to be meaningful in a game like Life is Strange, and thankfully, the teen drama ends on a resounding high. Chloe is forced to make one final decision that'll definitely give you pause for thought, and if you've become invested in the duo as you should up to this point, then you'll be thinking about your choice long after the credits have rolled. Even so, there's still some key unanswered questions that Before the Storm fails to answer, specifically regarding Rachel. Those of you who have been with Life is Strange since its inception will twig what these are, although for everyone else it won't even register. Still, it's something of a missed opportunity. Overall, Hell is Empty is a thrilling and compelling conclusion to Life is Strange Before the Storm, and packs an emotional punch when it comes to rounding off Chloe and Rachel's exploits. Yes, there's still some imperfections that are inherent of the Life is Strange brand dotted throughout, but you'll be likely too engrossed to notice. The ending is bittersweet, but that's what you expected, right? A solid ending to the powerful Life is Strange prequel series, Hell is Empty delivers all the emotional beats that you would expect as Chloe and Rachel’s adventures come to a close.